All dogs benefit from some form of obedience this includes a GSP. If nothing else you want a well behaved companion. As soon as you make the decision to have a dog, it is worth looking up local dog training clubs. Your vet may know of some or The Kennel Club also has a list of registered clubs. Go and visit them and see what method of training they use; if you don’t like it, try another club. There are many very good clubs out there but there are a few bad ones, so it’s better to find out before you take your puppy along. A lot of good clubs run puppy classes, which are more like a playgroup; your puppy does a bit of learning and a bit of play. These training clubs sometimes have a waiting list so it is worth booking early. You want to start as soon as you can and this will also help to have a well-socialised puppy. GSPs are very intelligent dogs and can take to obedience very well if you find the right motivation; they are usually keen to learn. 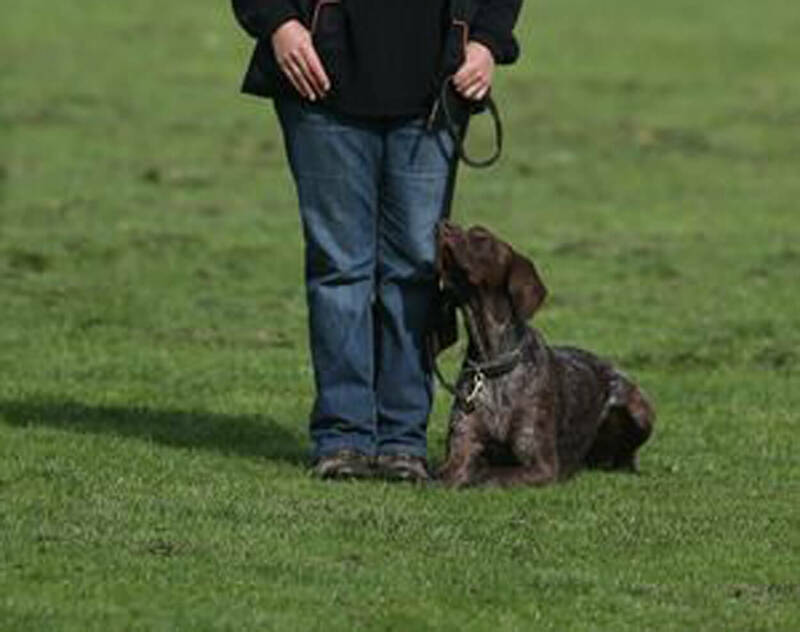 The basics of obedience will be to teach your dog to walk by your side without pulling, to come when called, to stay in a set position (sit, stand & lying down), retrieve and scent discrimination, everything else can be based on these. Most important of all, remember, it should be fun for you but most of all it must be fun for your dog. Once you have got the basics why not try a competition, you can start with exemption shows and if you enjoy it why not try to work up. Good luck; that first trophy will be unforgettable.